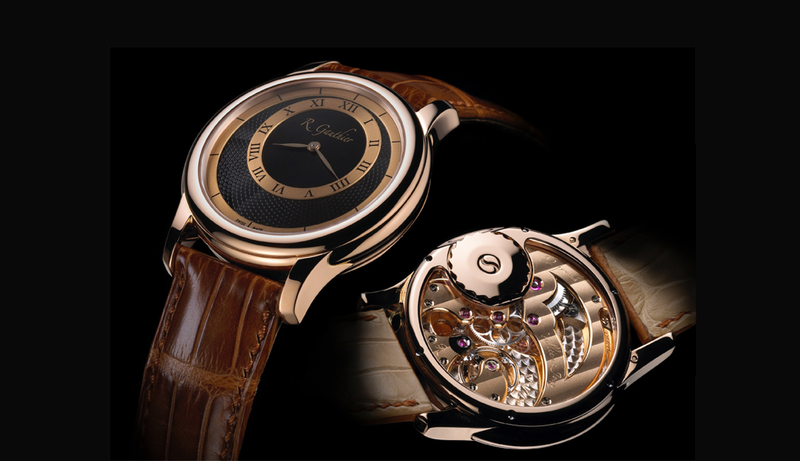 Romain Gauthier is an independent watchmaker based in La Vallée de Joux. All of their movements are developed and manufactured in-house and feature exquisite hand finishing. In fact, their finishes are regarded as some of the best in the industry. 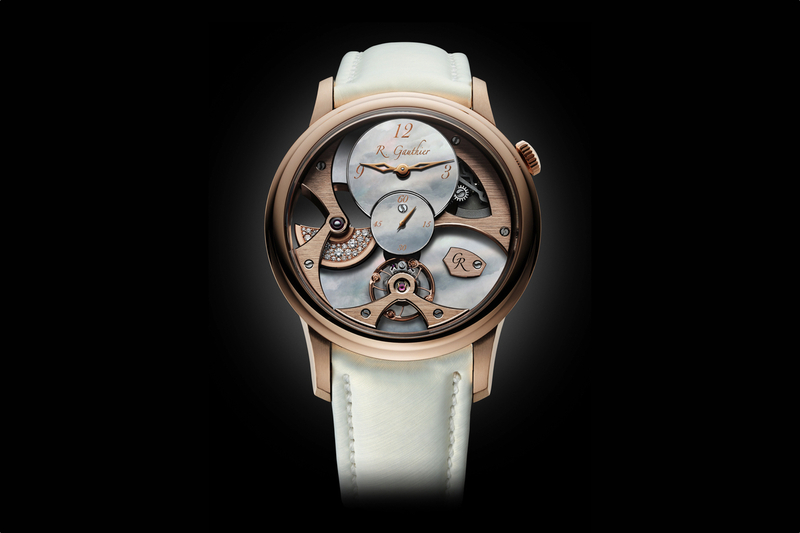 The Romain Gauthier 2206 Hm is a hand-wound caliber with a highly-finished 22 jewel movement. It features an innovative crown located horizontally under the movement. The crown is designed to be easily wound while the watch is being worn. 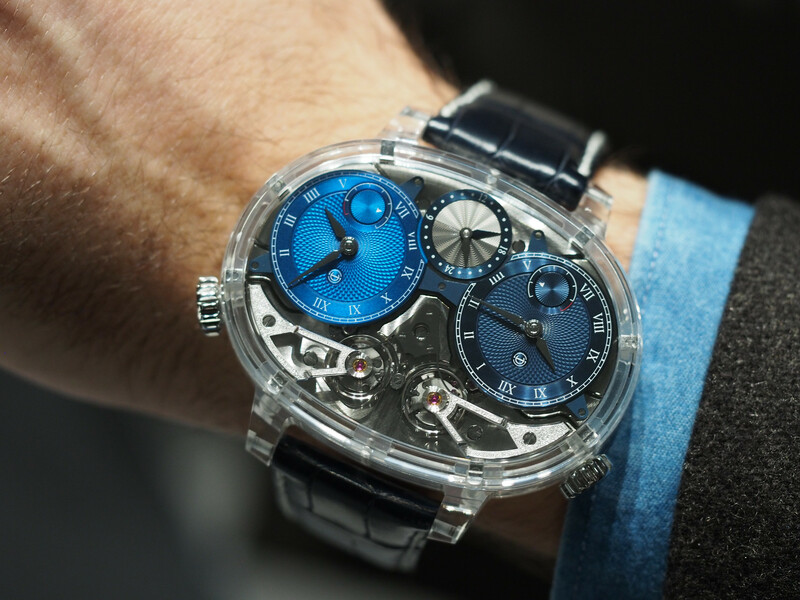 The movement features a bespoke balance wheel with four inertia screws with regulation indicators. 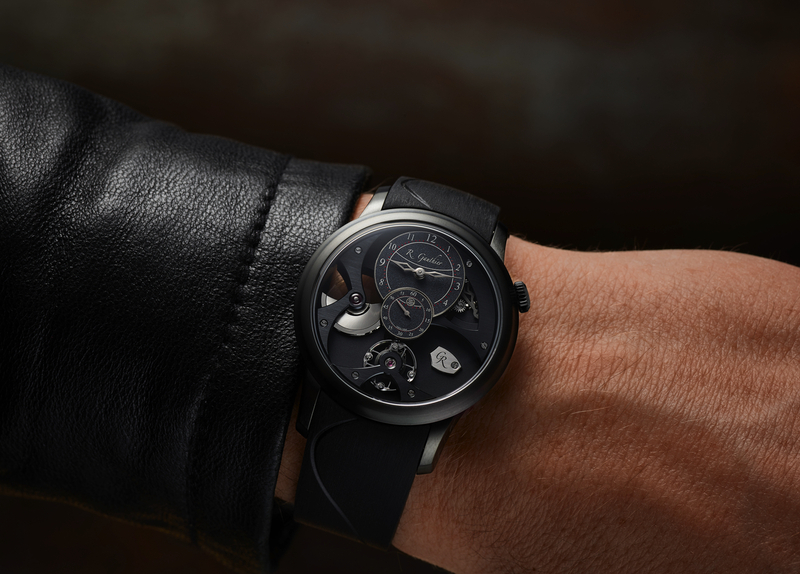 This Romain Gauthier exclusive design enables more torque to be applied with less chance of slipping and damage. The case is 41 mm x 11.3 mm with a sapphire crystal on the front and back, both treated with an anti-reflective coating. The dial features a controversial off-centered time display. The hour and minute hands are crafted in solid 18k gold, with a hand-guilloched finish. The dial is a three-piece design in solid 18k gold and hand-guilloched finish. The case and dial come in red gold with black dial (pictured), white gold with gray dial and platinum with a charcoal dial.